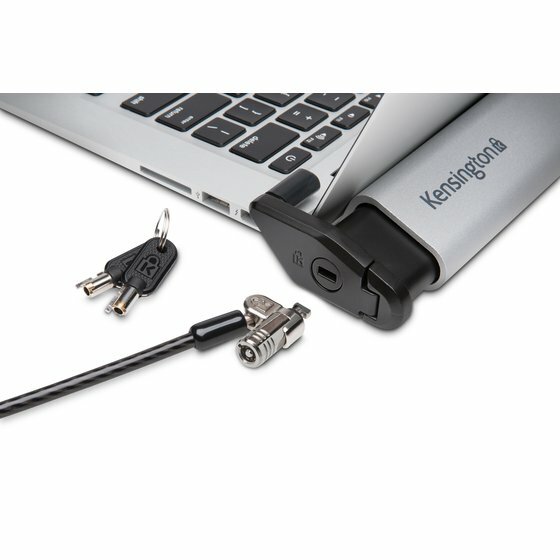 Engineered for laptops without built-in security slots, the Kensington Laptop Locking Station 2.0 provides theft protection for MacBook®, MacBook Pro, MacBook Air and other thin 11”-15.6” laptops. 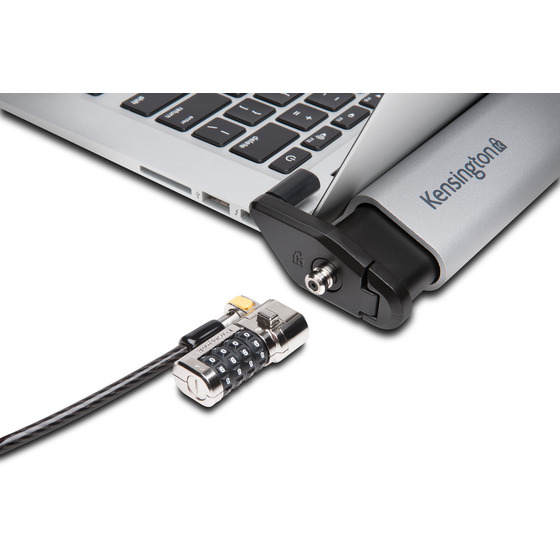 Reinforced by Kensington’s industry-leading lock, the Laptop Locking Station 2.0 provides the trusted protection that has made Kensington The Professionals’ Choice™ in laptop security for over 25 years. Professional-level design provides a sleek, brushed aluminum locking station that provides side port access and superior flexibility in laptop engagement. Non-invasive locking technology requires no hardware modifications to the laptop, preserving your laptop’s aesthetics and hardware warranty. 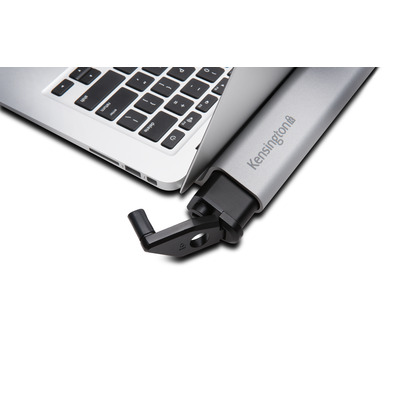 Adjustable security arms accommodate MacBook and other thin 11”-15.6” laptops. Scratch-resistant bumpers line the back wall and base to protect your laptop from cosmetic damage. 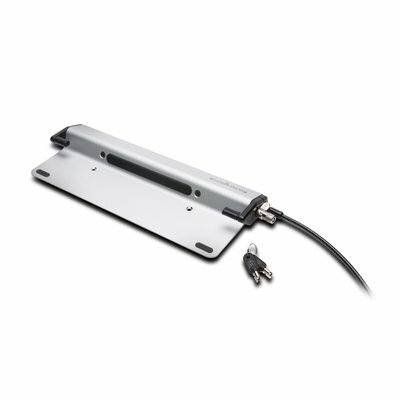 Designed to provide a simple locking solution for laptops without security slots, the locking station offers a sleek, brushed aluminum locking station that provides access to side ports with flexibility to rotate, slide and tilt your laptop as desired. 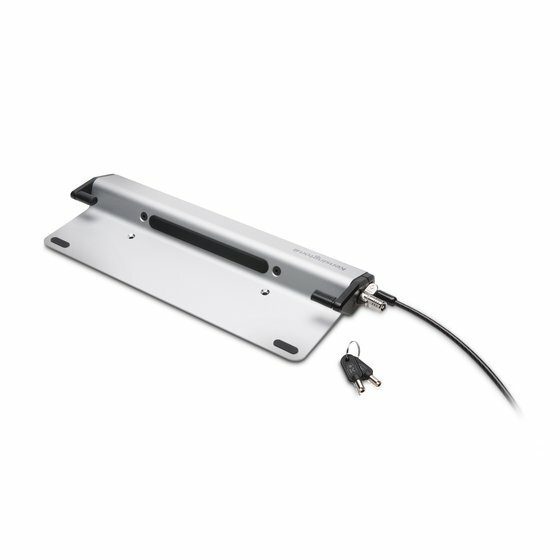 Complete with non-skid feet to prevent unwanted slipping, and contact pads to protect the shell of your laptop, the Laptop Locking Station 2.0 provides trusted theft protection with a high level of functionality. 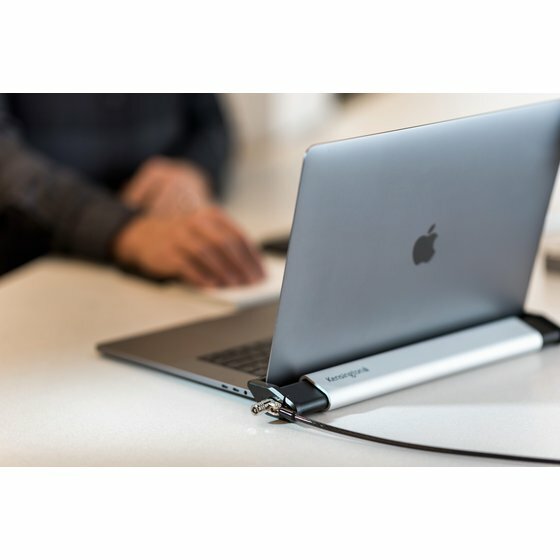 Requiring no hardware modifications to your laptop, the locking station secures your laptop to prevent theft while preserving your laptop’s aesthetics and hardware warranty. 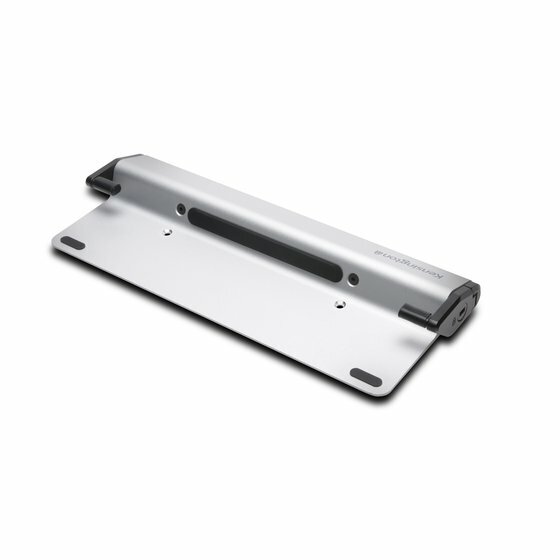 Easily adjusts to accommodate MacBook and other thin 11”-15.6” laptops without built-in security slots. Securing your laptop is as easy as placing the laptop on the base, closing the arm, and locking. 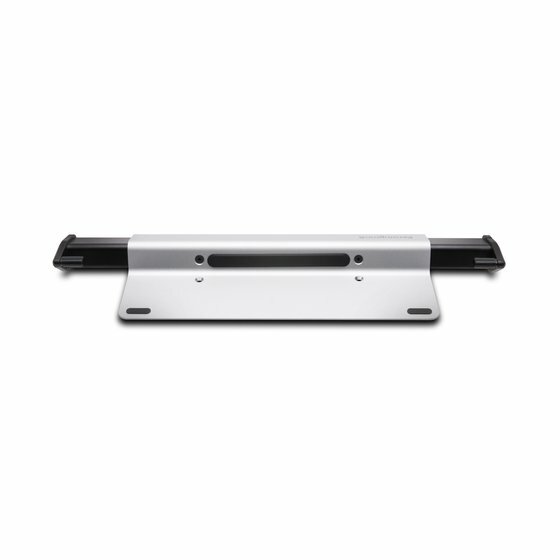 Line the back wall and on the base of the locking station to protect your laptop from cosmetic damage.